In Ecuador, monument trees, often over a century in age are being felled in national parks and urban areas. The protection regime is not working. Despite Ecuador claiming itself to be the first country to recognise the rights of nature in its constitution (https://therightsofnature.org/wp-content/uploads/pdfs/Rights-for-Nature-Articles-in-Ecuadors-Constitution.pdf ), it does less than most countries to put this value into practice. Integridad has come up with a way to help us fulfil the constitution. We want to propose an Ordinance Programme to the government that projects the rights of trees to a “personal level” It involves using the public and ourselves to seek out as many monument trees as possible, anywhere in the country, and record data on each tree. A tree could gain this status for it’s age, great size, cultural value, ecological value or rareness. The trees would be labelled on site and stiff penalties imposed for their damage or destruction. The data base would be presented on a public web site for use by forestry workers, botanists, nursery workers, students and tourists. The best part of this is it allows the whole country to get involved in tracking down trees of special value, documenting them and sending us the information. Not only is it likely to protect a lot of trees from getting the axe but it may well change public opinion of the value of trees. 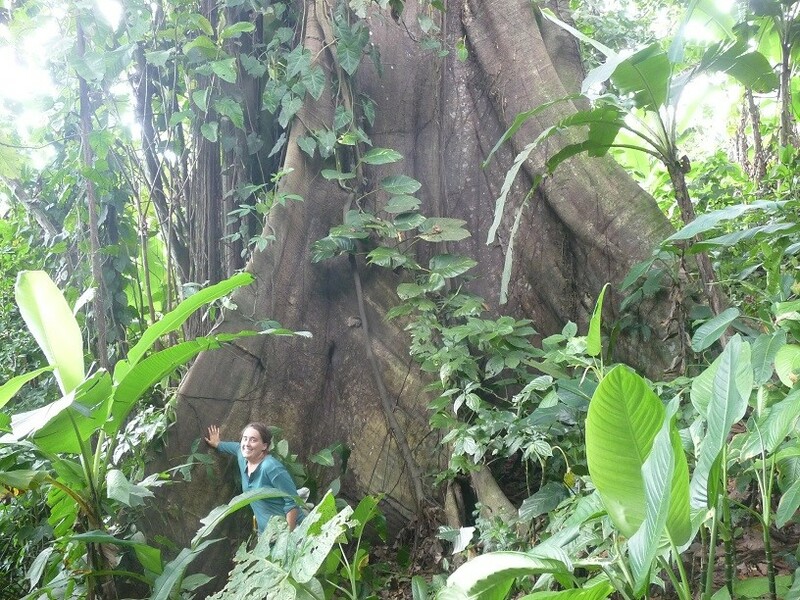 “El Chi” the biggest tree in Selva Chi is a giant native fig tree 45m in height. Notice the person lower left.